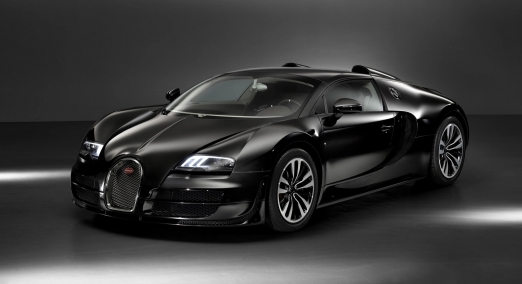 Rent a Bugatti with Diamond Exotic Rentals and you’ll experience a masterpiece of automotive engineering. The four-wheel drive, 16 cylinder Veyron may well be the most sophisticated production auto of all time. Many of the materials and systems used in the Bugatti Veyron were actually taken from the aviation and space travel industry. Engineers in these industries are accustomed to working with extreme speeds and forces that made them a great addition to the Bugatti production team. The horseshoe grill is an iconic symbol that has been part of the Bugatti heritage since its inception. After being released in 2005, the Bugatti Veyron has received critical acclaim as one of the most exclusive exotic car rentals in the industry. Engineers were challenged to create a super car that produced over 1,000 hp, and had a top speed of over 248 mph and also included the ability to sprint from 0 to 100 in less than three seconds. If that wasn’t difficult enough, Bugatti’s new exotic car would also have to be finely tuned in order to be suitable for everyday use. In order to attain this kind of performance, everything had to be created from scratch because there weren’t any other existing car concepts to compare to. Our Bugatti rental service allows you to drive the only car that can master any driving scenario at any time due to construction and development. Athletic performance and elegant form are combined in the most luxurious way. The signature Bugatti grill will be the first thing you notice when we deliver your luxury car rental. Along with the beautiful grill, the carefully engineered aerodynamics keeps it firmly on the road even while traveling at full speed. The retractable spoiler can be raised or lowered automatically or you can also use the control’s inside if you want to show off. Rent Buggati and it will surely be an experience that will last forever. The Bugatti interior is made from carbon fiber and crafted with the highest quality leather. It is the most superior car cabin in the world. The center console is crafted from a single piece of aluminum that is rumored to cost $21,000 to create. The shifter looks like a joystick from an airplane. The Bugatti Veyron is considered by many to be the ultimate super sports car. The Veyron’s braking system is a combination of the large ceramic brakes and the spoiler that helps give the Bugatti incredible stopping power. The car can go from 0-60 in 2.5 seconds and can stop even quicker. This Bugatti goes from 60-0 in just 2.3 seconds. If your in high school and you want to rent a Bugatti for prom the Veyron we have available in Miami cost $25,000 a day and also requires a refundable security deposit of $100,000. Rent Bugatti Veyron at Diamond Exotic Rentals today!